The local sunday car boot sale has not really got started this year,with today's turnout limited to just a few stalls, perhaps it's the frosty start that put people off. Anyway I couldn't see much on the first wander around but decided to dig into two boxes that were topped with newspapers on my second wander. 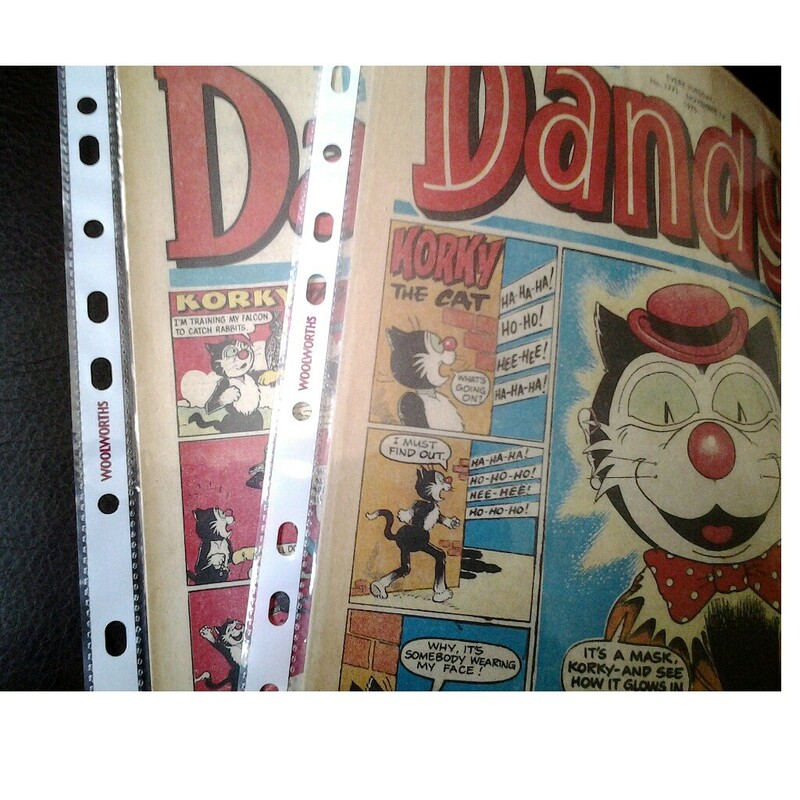 Beneath the newspapers one of the boxes had a large number of 1975/6 Dandy comics ( there were 150 I was told by the stall holder) and the other box contained a large number of Look and Learn. Well being the big spender that I am I decided to buy two Dandy comics at 50p each. Interestingly enough the plastic sleaves the comics were in were imprinted with the word Woolworths a reminder of the ex high street store. Am currently spending Easter with relatives down south. Popped to the town I grew up in and spotted the special in the local WHSmiths - the same shop where my mum used to get the original Buster when I was a child. Of course I left with a copy in hand. Easily worthly of being a regular publication like Beano. Visited two car boot sales today while melting in the heat of the sun and wondering why comic related material was as difficult to find as looking for a needle in a haystack. I picked up the Beezer 1966 annual for a £1 mainly because I couldn't find anything else. I did thoroughly search the stalls and I don't think I need to go to Specsavers. A collection I have been meaning to complete will soon be in my hands. A friend has found the full run of Football PSM and is picking them up for me tomorrow. If I am really lucky, it will also have a copy of the rarely seen Football Picture Story Monthly Summer Special from 1988 to give me a spare!